This is going to be a rather quiet and somewhat sad weekend for us. Come Monday morning, we’ll be taking Celia in to the vet’s to be euthanized. She’s been so sick these past few months and her treatments don’t last as long and are becoming more difficult to give her. So it was decided yesterday afternoon that the kindest thing we could do would be to let her just fall asleep and never wake up again. We’ll cry (I already have — several times) and we’ll say our goodbyes and be there as she goes. The vet had listed a few options of treatment, all costly, of course, but none of the courses of treatment were guaranteed to help her at all, or to help her long term, or to even heal her. If we were rich, sure we might consider some of the options, but eventually we would have to make the tough decision and do what was, ultimately, the best thing for HER. I think she knows what’s up. She’s come out of deep hiding and is in visible seclusion instead. She’s no longer flinching when I approach her because she, again, seems to know we’re not going to bother her with meds any further. All I want for her is to come out, spend time where’s she’s most comfortable, and be her lovely self as we prepare ourselves emotionally. Celia is our gorgeous, furry princess. After she got over her initial shyness and distrust, she became very loving and exceedingly insistent we pet her. It was funny. Whatever it took to get us to bend to her will, well, she was willing to do it. And so were we. On the rare days when she was in play mode, Celia was hysterical. 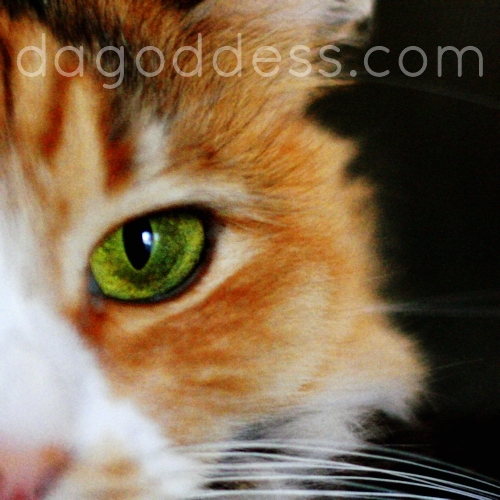 She’d chase and leap and skitter across the floor, she’d meow and make a big deal out of it. And then, five minutes later, she’d be done. Most fun was watching her play with Fletch. They were funny as hell together! Fletch loved it and he was always sad when she’d end the game sooner than he wanted. There will never be another cat as beautiful as Celia. There will never be another cat as unique as she is. We’re going to miss our Baby Girl. I’m so very sorry. :( I know you have done everything possible to give your girl a good life… and you have succeeded. Where would she and Fletch be if you hadn’t adopted them? May we all be as loved when it’s our time to cross the bridge. “Sound, sound the clarion, fill the fife! I had a brief flash of hope against hope tonight that she was doing better, but no. So, tomorrow morning we’ll take her in and hold her as she leaves us. We’re very raw and heartbroken and out of sorts, all the while resolved to do right by our little girl. We’re keeping an eye on Fletch as he begins to figure out his sister isn’t coming home. This is going to be as hard on him as it is on us, maybe even worse as they were roommates at the shelter and were together for a few years before we adopted them.